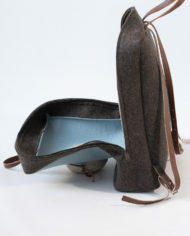 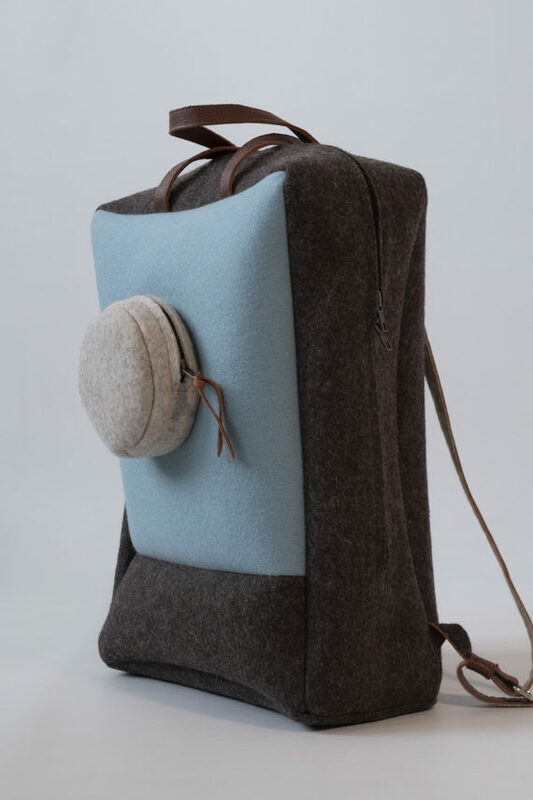 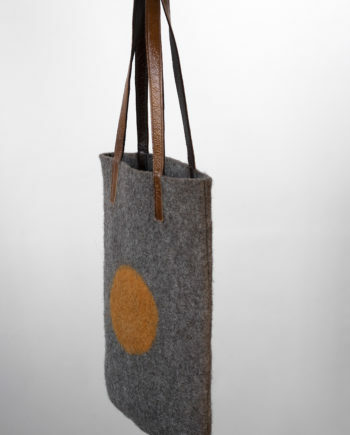 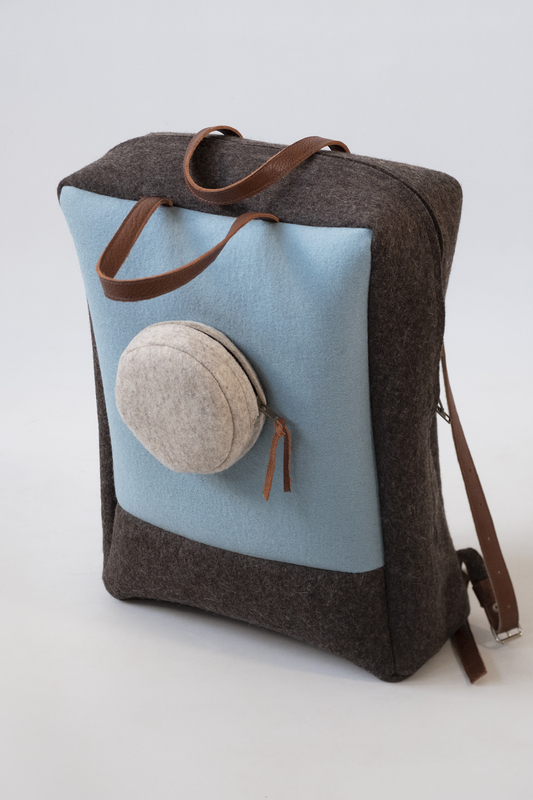 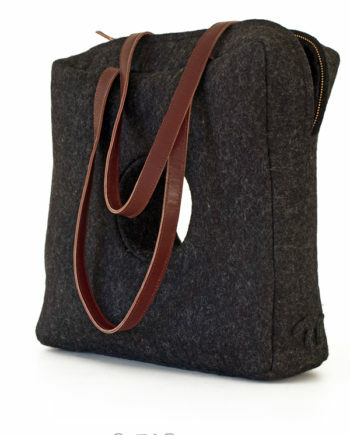 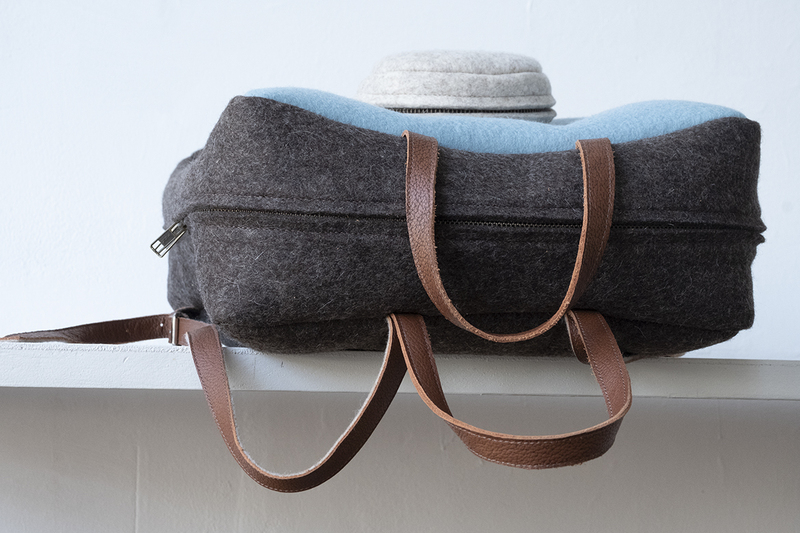 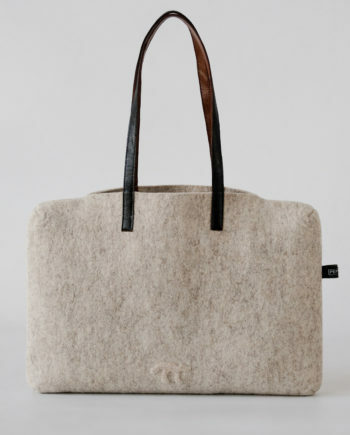 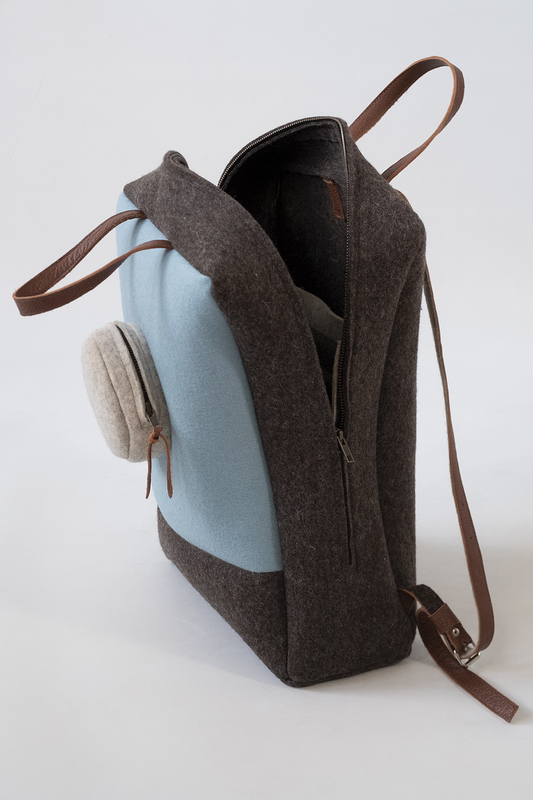 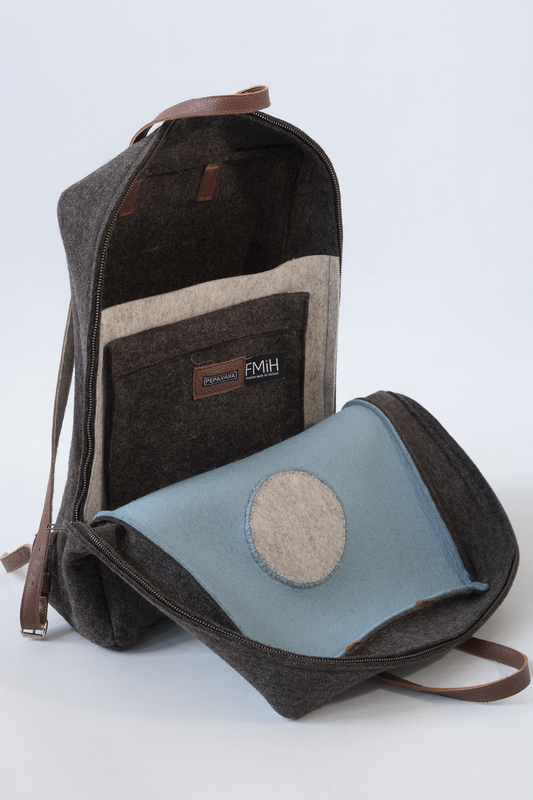 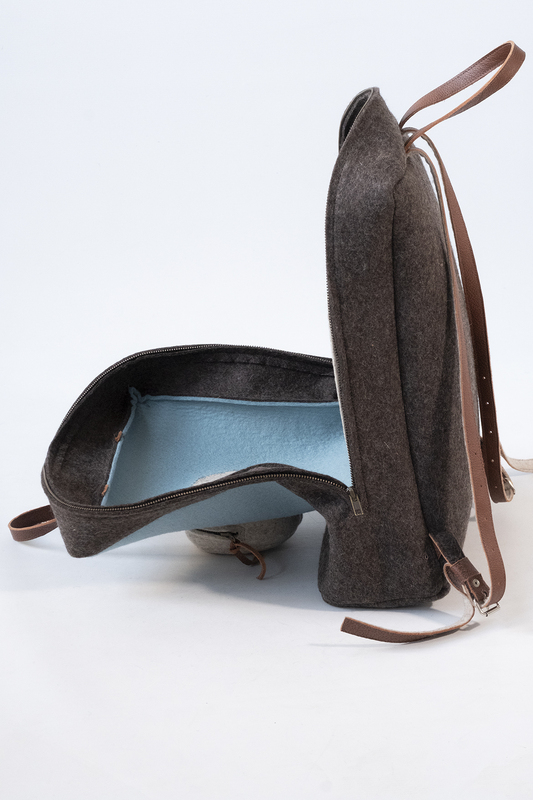 Design backpack in brown, blue and blond wool felt. 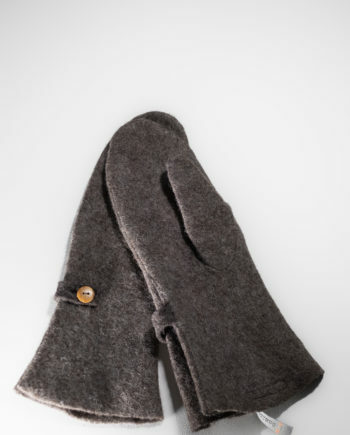 On request available as a square model. 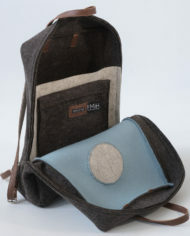 Contact me and read about custom made services here. 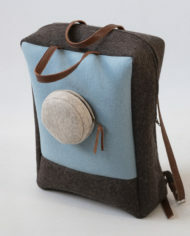 The Backpack Brown Blue Blond has the eye-catching round pocket in the front part. 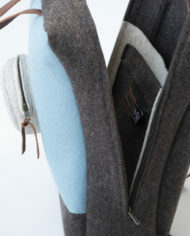 The spacious compartment inside has a divider and a closeable pocket. 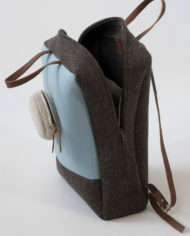 The extended zipper closure in the backpack can be handy for easy storing and accessing your belongings. 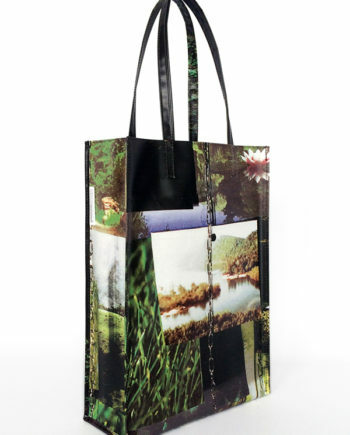 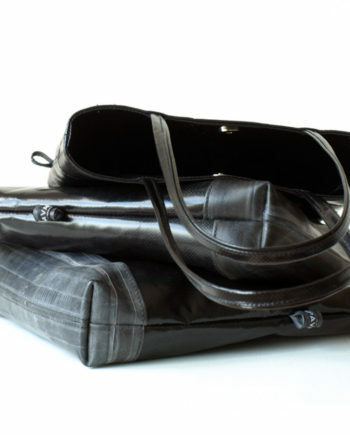 The rectangular design allows economic storing without increasing the size of the bag; this lightweight design bag fits perfectly on the body, is soft and flexible. 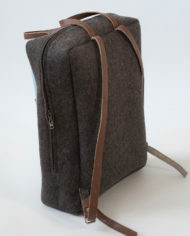 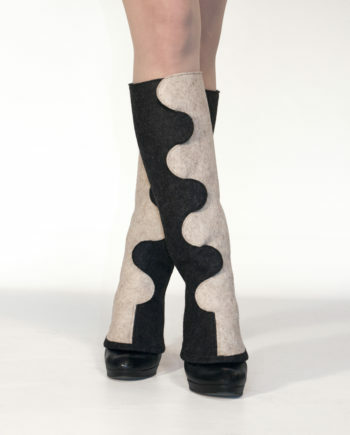 We used a 3 mm thick wool felt that is also water and dirt repellent. 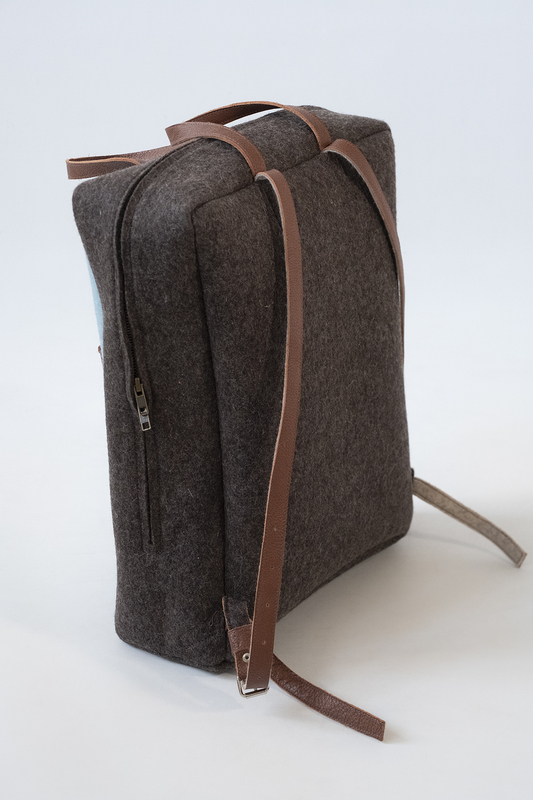 The thin leather straps with the felt padding, give the bag a subtle look, while the extra pads that coms with the backpack, give comfort on the shoulder when you want it. 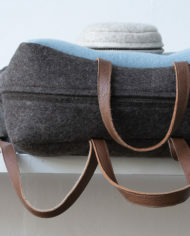 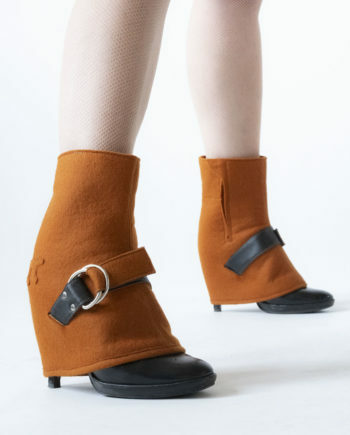 Shorten the shoulder straps and use the double handles instead. 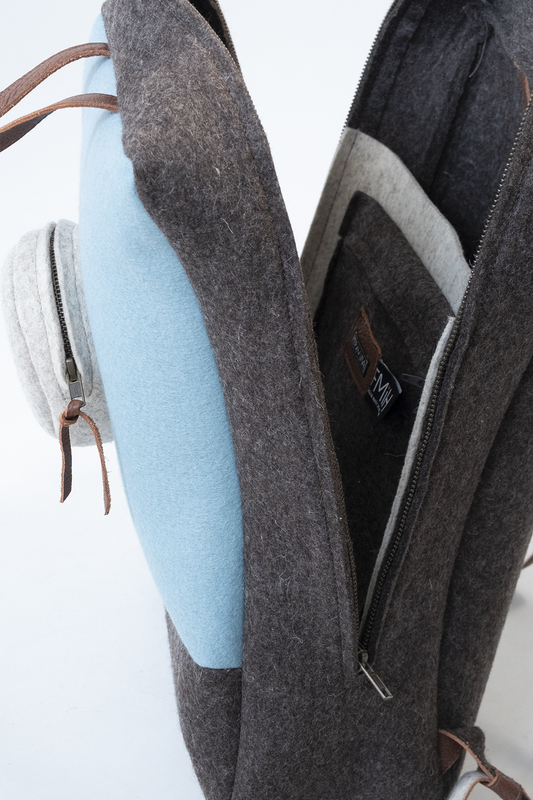 Click twice on the images to get the full-size picture for a better experience.